Let me take you down to the dark spaces where wines sparkle and the angels play. Wine is a delicate thing, honed over thousands of years, its needs are still pretty basic: keep me cool and dark. 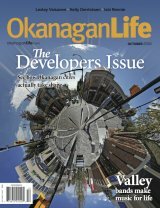 In the blistering Okanagan heat, the best place to find that is underground. Entering the cave at Pentâge, on the hillside overlooking Skaha Lake just south of Penticton, I feel like I’m at the spa. The thick air is humid with a hint of minerality. The 500 square-metre cave encloses the entire production facility of this boutique 5,000-case winery. The crush pad is outside on top, with tubes to drain the yummy juice straight into the fermentation tanks. 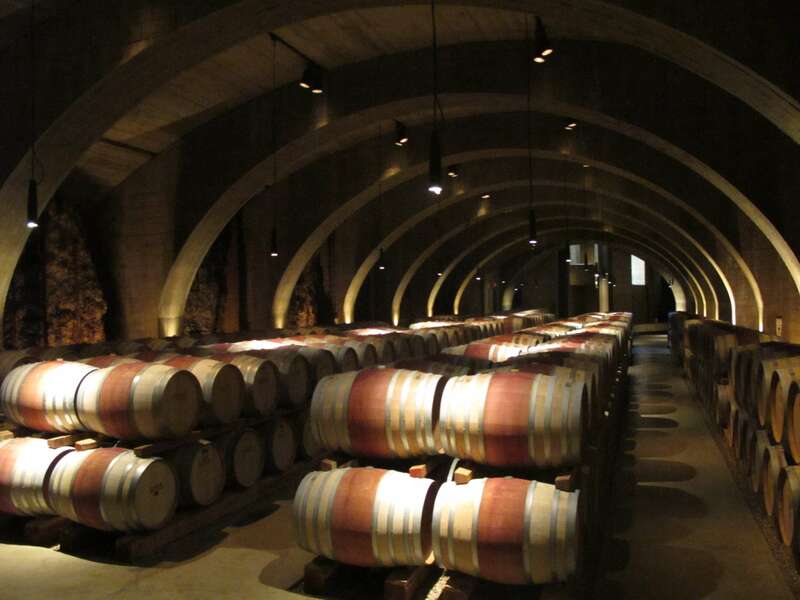 Hundreds of barrels are stacked, aging red wine and Chardonnay in the cave’s dark recesses. My entrance to the cavern at Seven Stones in the Similkameen Valley is a bit more dramatic as I step down the winding staircase that brings me deep into the earth. 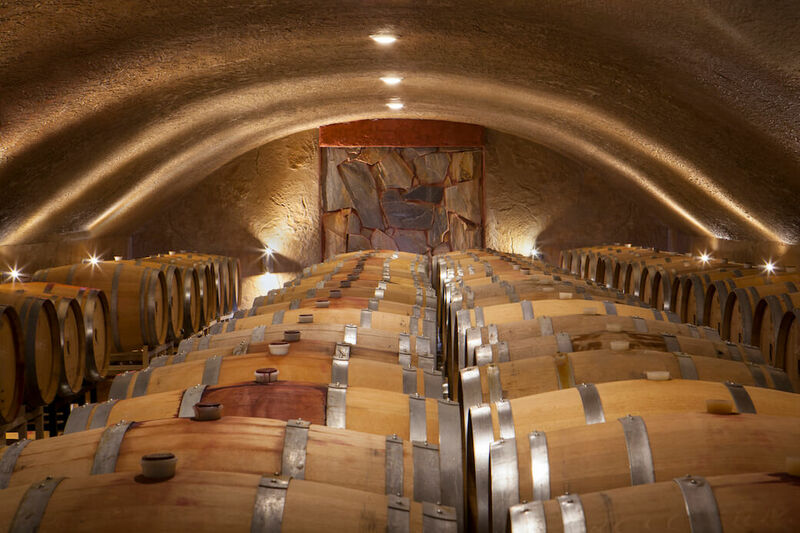 This cave, large enough to accommodate 300 barrels, was excavated with the purpose of cellaring fine Bordeaux-style wines, including The Legend and Meritage. Contact with oak softens and smooths wine, making it rounder, richer and more complex. It’s why a wine has notes of vanilla, clove or allspice. Wooden barrels are also porous so winemakers account for the evaporation or angel’s share?—?the tariff imposed on us to allow the wine to age. A single barrel can lose 27 bottles, while a cellar with high humidity cuts that down to seven. For winemaker George Hanson at Seven Stones, that translates to a $70,000 saving each vintage. One can almost see the angels in the high arching ceilings of the expansive cave at Mission Hill. 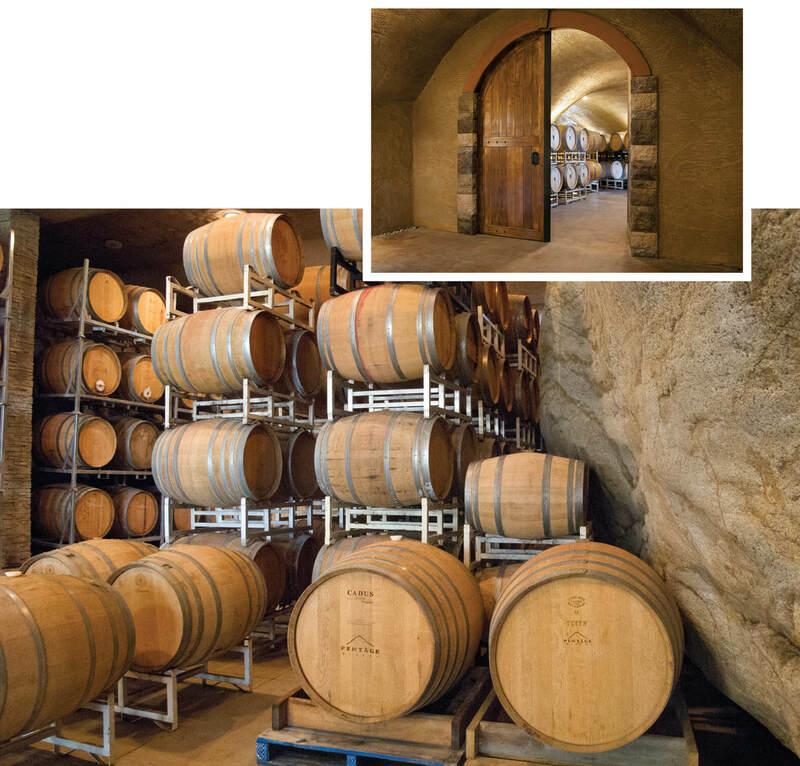 Designed in a traditional sense of Old World barrel cellar, the rock is exposed for both its natural beauty and to showcase the terroir of the hillside, being volcanic rock. At the cave at Sumac Ridge in Summerland, cellar staff, not the angels, are hard at work creating natural sparkling wine. Made in the méthode classique, each bottle is hand turned, one quarter, one a time, over six weeks. This riddling moves the lees (dying yeast) to the neck of the bottle. The wine is left to bottle-age in the dark and cool for three years. In Lake Country, its Pinot Noir aging in barrel casks in the dark cave honed from the mountainside at 50th Parallel. 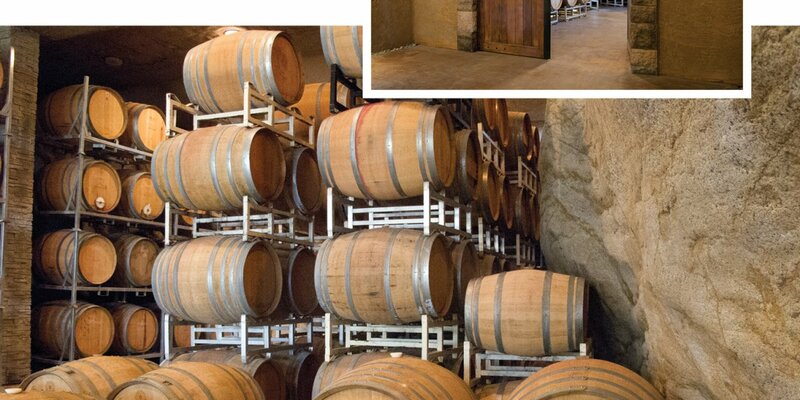 The cave is just the first tunnel dug with plans to expand underground as this new winery grows. 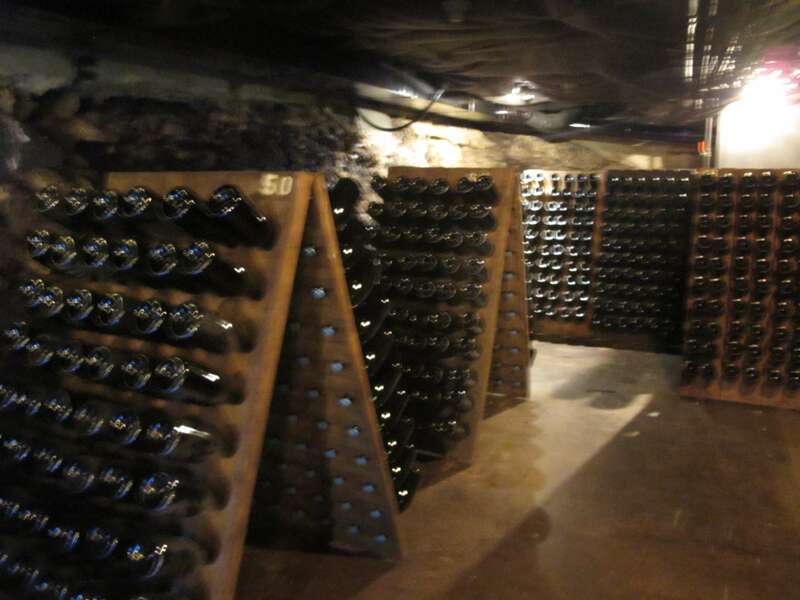 Head out and tour the wine caves of the Okanagan and take to heart their dark and cool lessons when you store your wine at home. Our October issue features Okanagan developers and urban planners. 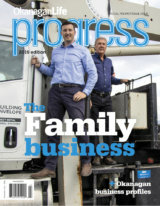 Learn the who, what and why of shaping our cities for the future.